The road to hell is paved with good intentions…and tequila, guns, and cocaine in this “rambunctiously entertaining” (Teddy Wayne) debut novel inspired by the author’s time as Hunter S. Thompson’s assistant. Alley Russo is a recent college grad desperately trying to make it in the grueling world of New York publishing, but like so many who have come before her, she has no connections and has settled for an unpaid magazine internship while slinging drinks on Bleecker Street just to make ends meet. That’s when she hears the infamous Walker Reade is looking for an assistant to replace the eight others who have recently quit. Hungry for a chance to get her manuscript onto the desk of an experienced editor, Alley jumps at the opportunity to help Reade finish his latest novel. After surviving an absurd three-day “trial period” involving a .44 magnum, purple-pyramid acid, violent verbal outbursts, brushes with fame and the law, a bevy of peacocks, and a whole lot of cocaine, Alley is invited to stay at the compound where Reade works. For months Alley attempts to coax the novel out of Walker page-by-page, all while battling his endless procrastination, vampiric schedule, Herculean substance abuse, mounting debt, and casual gunplay. But as the job begins to take a toll on her psyche, Alley realizes she’s alone in the Colorado Rockies at the mercy of a drug-addicted literary icon who may never produce another novel—and her fate may already be sealed. 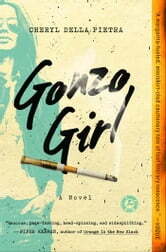 “A margarita-fueled, miniskirt-clad cautionary tale of lost literary innocence” (Vogue), Gonzo Girl is a loving fictional portrait of a larger-than-life literary icon.